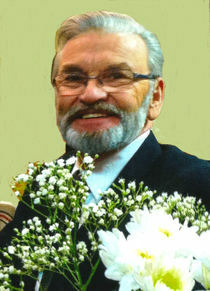 Obituary for Gilbert Sheldon Connors | Westlock Funeral Home & Crematorium Ltd.
Westlock Funeral Home & Crematorium Ltd.
On Sunday, December 2nd, 2018, Gilbert Connors of Westlock, AB, formerly of Carroll’s Crossing, New Brunswick, passed away at the Westlock Health Care Center at the age of 72 years. He is survived by his loving wife of 50 years, Lynn; two children, Shari (Sonny) Hodder and Owen (Katrina) Connors; a Papa to Merrilee, James, Brandon, and Angel (Hodder) and Sarah, Cassie, and Joel (Connors); two sisters, Mildred and Margaret-Rose; one brother, John, as well as several nieces and nephews. He was predeceased by his parents, Sheldon and Catherine Connors and his cat Tom. A Funeral Service will be held December 10th, 2018 at 11:00 a.m. at the Westlock Funeral Home. Donations gratefully accepted to Stars Ambulance, Heart & Stroke Foundation of Alberta or the Charity of One’s Choice in c/o 10004 105 Street, Westlock, AB T7P 1V2. Westlock Funeral Home & Crematorium Ltd. (780 349 3474).